A few weeks ago, our Coordinator Erin Summerlee attended the 2015 Closing the Hunger Gap Conference in Portland, OR, with two friends from the Food Bank of the Southern Tier: Randi Quackenbush, Advocacy and Education Manager, and Lyndsey Lyman, Agency Outreach Coordinator. We sat down with them to learn about the innovative organizations and programs they encountered at the conference and how they plan to incorporate these new ideas into their work. Can you give a brief overview of your experience? Randi: I think for both of us from the Food Bank it was kind of like finding our people. This conference really brought together people who want to move beyond just charity and are thinking about longer-term solutions, because hunger is a symptom of greater economic issues, like poverty and inequality. What is our role as a food bank? A lot of people just want to pass food out and not really question the food system or are always trying to push more food out. But this conference was really like, how can we change circumstances so we’re actually distributing less food? So there’s a need decreasing? Lyndsey: We attended a pre-conference workshop where we looked at the entire history of emergency food since 1925 in the U.S. It was a very telling way to look at the history for this conference and then to say, okay, so given this history, what is the real problem we’re trying to solve? And you couldn’t look at that history and not say anything other than “hunger.” You couldn’t look at that timeline and say “hunger” because it’s not that simple. There were a lot of folks from food banks, but there were also producers and farmers, and folks from places like cooperative extensions and people that focus on nutrition, basically anywhere in the food world. There was a lot of great knowledge in the room. We all had a similar foundation and understanding of the idea that food banking is not “it.” It’s not going to be the thing that actually solves the problem. So we has a similar foundation in that way, and we were able to go leaps and bounds further than we normally would be able to in a discussion because of our shared understanding. Erin: As both of them said, it was really nice to be in a place where people just get it. It can be a challenge to articulate what the Food and Health Network (FaHN) does and why, and why it’s important to have all of these different pieces together. The people there were the type of people and organizations we try to work with at FaHN, which was really nice. I liked the emphasis on food justice and poverty and other structural issues, and it made me think about how I can do a better job of incorporating community engagement and other issues that we’re not necessarily thinking about, because our work is not very direct most of the time. And, for the project ideas that we are working on, making sure that we have input on those and that we’re doing the right kinds of things. I really liked a session about a two-step food insecurity screening. The facilitator was talking about how they were doing it with all of the residents in a medical program as part of their training. This is in Idaho, mostly, and she said that when they put things in terms of food systems and why this is an important thing for the food system as a whole, everyone was on board. The language of food systems takes it away from “us versus them” and removes the focus on people who are receiving benefits or emergency food. Her quote was something like, “if you’re not part of the food system, I don’t know where you are.” The way she framed it, as a unifying thing rather than providing something to someone, really resonated with me. What were some of your favorite programs or organizations that you learned about? 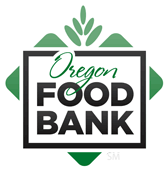 Randi: We went to a workshop about the FEAST program out of the Oregon Food Bank, it’s an acronym for something. Lyndsey: Food, Education, Agriculture Solutions Together. Randi: Yes, so the Oregon Food Bank has been doing these FEAST workshops since around 2011, setting up mini policy councils in all these communities. It’s a six hour workshop where they bring in stakeholders in the food system and they come up with an action plan and dig down into what’s going on in the community. And now they have a network of 60-some communities that have done this. It made me think of the Food Policy Council that’s forming in Tompkins County and the state Food Policy Council that we’re in. Lyndsey: The best thing about that model, I think, is that it’s so community driven. The Food Bank’s role is literally just to provide backbone support to get it off the ground. There are a couple of community members that coordinate with the Food Bank and recruit the attendees, and the Food Bank will come to the initial meeting and help them work on the visioning, and then from there it’s really up to that group what direction they want to take it in. I also went to a workshop with an organization I’ve been interested in called Sisters of the Road. They’re in Portland, and it’s like a community meal 5.0, it’s so far into the future. They offer meals at lunchtime at discounted prices. You can also use your SNAP benefits to purchase a meal from them. Even though it’s hot, they actually lobbied for folks to be able to purchase hot food from a nonprofit, which I didn’t even know was possible. You can also do a volunteer exchange, so half an hour of sweeping the floor or helping do dishes will get you a certain number of dollars of credit with them. You can easily get a hearty meal from them for $3. One of the biggest tenants of their operation is making sure that everything is happening in a dignified manner. They express their commitment to dignity is by having really good quality food. They don’t have a line; instead they have a reservation system and you can sit at a table, so it’s very much like you’re at a restaurant. They don’t rush people out. They drew a line and said, we’re not going to be able to feed all the people we want to feed in Portland, but we do want people to have an empowering experience and build relationships with people while they’re here. Erin: One of my favorites was the workshop on food insecurity screenings and referrals that I mentioned before, because I was really interested to lean about new models. They were talking about more than just screening and saying, okay, this is how you get connected with food banks. They were working with insurance companies. The program wasn’t just relying on grant funding, but the funding to get access to good, healthy foods was coming from insurance companies. People were getting reimbursed for going to the farmers’ markets and things like that. They weren’t even just looking at access to fruits and vegetables—they were really considering people’s entire health and dietary needs, so they embraced food as medicine. So if someone was being treated for wound care, their food referrals would be based on protein, because that’s what they need. Or, if someone’s in palliative care or pregnant, their food is specific to that. Randi: I met a woman who works for Chaplains on the Harbor, which is in the northwest corner of Washington state. They’re a hot meal site that is completely run by the people that eat there. She calls them her “constituents.” They’re a very small organization in more of a white, Republican area with a lot of men and people with logging jobs and things like that, with a lot drug issues and homelessness. These people totally run the program and they make the decisions. I thought that was interesting because the people most affected by the problem are the most involved in the process, planning and execution of programs. We dream of someday getting there. Erin: I liked the closing panel conversation, which was with Nick Saul. He’s the director of Community Food Centres Canada, and he created The Stop in Toronto. Randi, you may know even more than me, but I really liked his style of speaking and it seems like everything they do is awesome. Randi: Yeah, I bought his book and we need to go on a field trip there. It’s a community center that is literally centered around food. They started as a two-staff-person pantry in a dilapidated building and they were giving out not the best quality food, and then Nick came in with this idea of restoring dignity and building community around food. It’s not that nutrition education and community gardens are going to solve poverty, but that fact that those programs pull people together and create a sense of hope and empowerment. They’re stepping stones to bigger issues. They’re now modeling it around Canada, and I think they have eight community centers. They only distribute healthy food, which is another of my big takeaways from the conference. We need to have a food policy. In his book, Nick says he used to think that any food is better than no food, but he changed his mind when he saw these weird cast-off industrial products that don’t make it in the market but end up in the food bank stream. If it’s not good enough for the general public, why should we think it’s good enough for the people eating the food that we’re distributing? He had to have some hard conversations with his volunteers and shake things up. But now they’re a model for Canada and the U.S.
What are some takeaways from the conference that you’re going to incorporate into your work? Randi: We have had conversations about becoming a certified living wage employer through the Tompkins Worker Center, and the conference really pushed me to think that we need to offer living wages, to have the sticker on our door so that when everyone walks in the Food Bank they know that we believe in that. I think about our hiring practices and descriptions, if we value people’s life experiences just as much as a college degree. How can we hire people who actually go to our food pantries, so we can point to someone and say that we hired them and now they’re not in poverty anymore? And hopefully the nutrition policy comes through, so we can at least stop accepting things like soda. We’re so centered on our volunteers and our agencies, but we really need to be more focused on the people who eat the food that we give out. I’ve always had that in my head, but I think this conference really pushed that to the forefront. Erin: One thing I got excited about was actually from Randi, which was how do a better job at organizing around issues? Going to the conference, you realize that FaHN doesn’t exist in isolation in upstate New York. There are groups like us across the country, and we pretty much agree on a lot of the same things, and yet when something comes up at the federal and state level, we just are not as sophisticated as our opposition in getting our voices heard. Whatever scale FaHN can do that on, that’s a big thing for me. Randi: I did want to add that a lot of the conversations at the conference centered on race and privilege, which is something that we rarely talk about at food banking conferences. You can’t talk about inequality without talking about racial inequality. Black Lives Matter was mentioned a lot, and we talked about the climate change and sustainability movement. We all want to build a better world for more people, so where do we see ourselves in this greater movement? Erin: I should say also that farm and food worker justice came up, and that’s really not something that FaHN has ever touched on. We may mention it in a Food System Assessment, but it’s really not something we’ve ever really focused on. That was something more to think about moving forward.